Nothing makes you feel fresh and radiant like smooth, moisturized skin. But when you have dry skin, it can be a real challenge to get that beautiful glow you seek. Dry skin can be caused by everything from genetics to climate, but it’s not something you have to resign yourself to living with forever. The most obvious thing you can do to improve your skin is drink a lot more water. But these top products for dry skin make a huge difference, too. Choosing the right facial cleanser products for dry skin can be tricky. Of course you want to make sure your skin is super clean, but you can easily strip the natural oils from your skin and make it worse when using a harsh detergent-based cleanser. Many people swear by cleansing with olive or coconut oil. It doesn’t seem like it should work, but it does because oil dissolves makeup. After rinsing well, it will leave your skin feeling soft and smooth because it works with your skin’s natural tendencies instead of working against them. If you’re less hippie-inclined and would rather leave the olive oil in the kitchen, you still need to choose a gentle cleanser. Avoid anything that contains alcohol, menthol, fragrances and citrus-based ingredients. Cream-based cleansers are generally much gentler to skin than gel-based. Consider products like SkinCeuticals Gentle Cleanser or Olay’s Foaming Face Wash for Sensitive Skin. The latter is soap-free and fragrance-free. Yes, You Should Use Toner! Many people—even well meaning skincare salespeople—advise those with dry skin to avoid toner altogether. After all, most toners are astringents and contain alcohol, which is only going to make skin drier. The other main function of toners is to remove dirt left behind by cleansers, which isn’t usually necessary. However, the right toner can still balance the skin’s pH level and leave it looking more radiant than ever. Choose a water-based formula that contains antioxidants or skin-boosting ingredients like niacinamide. The Body Shop’s Vitamin E Hydrating Toner is quickly absorbed and is alcohol-free. Exfoliating dry skin is a risky idea. When your skin is flaky and rough, it makes sense to want to remove the outer layer of dead skin. There are benefits to doing so, even when your skin is dry. However, it’s important to exfoliate no more than once a week. Less often is even better. You can use just a washcloth to gently remove the dead skin cells. Look no further than your kitchen: good ol’ oatmeal is both soothing and gentle. Dry skin is dry simply because it doesn’t have enough moisture of its own. While you can retain what moisture you do naturally have by avoiding hot showers, you’ll also need to add some moisture back. Unlike people with oily or acne-prone skin, you can handle oil-based moisturizers. As we get older, our bodies produce less natural oils, so oil-based moisturizers are even more important over time. Choose products like First Aid Beauty’s Ultra Repair Cream or Clinique’s Moisture Surge. 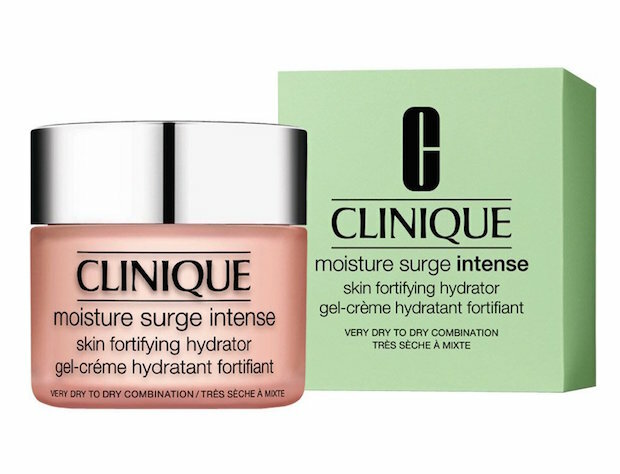 Don’t just limit the moisture to your face, either. Your neck, hands, and entire body need the extra moisture too.